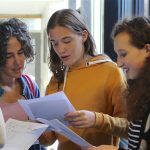 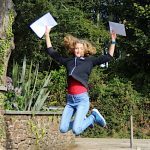 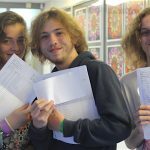 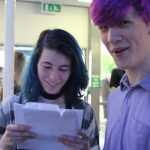 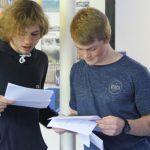 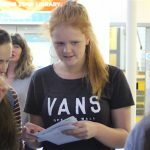 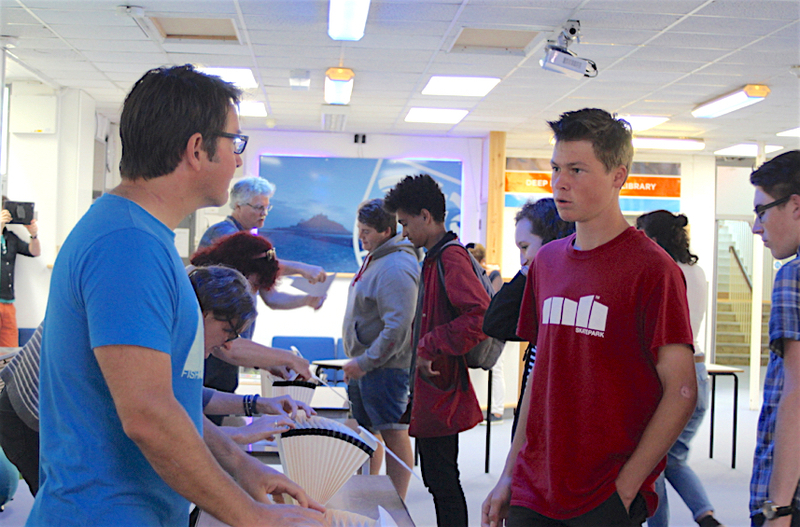 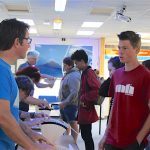 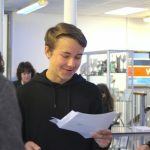 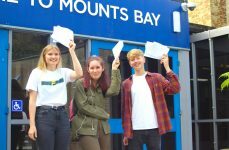 The 2017 cohort of Mounts Bay Academy have achieved good results in the new English and Maths qualifications which were introduced for the first time this year with the new grades of 1-9. 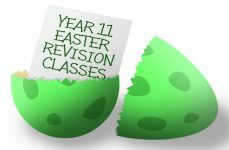 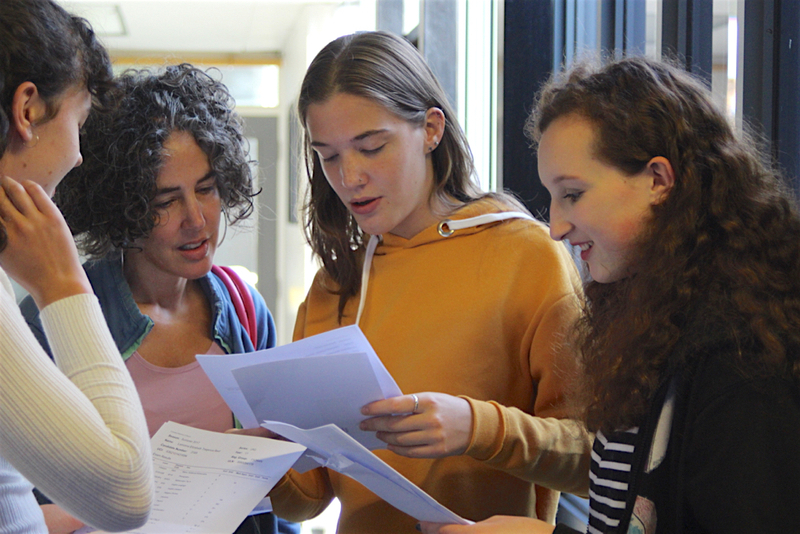 The exams were more difficult due to increases in content and extra assessment time required in each exam by over a third. 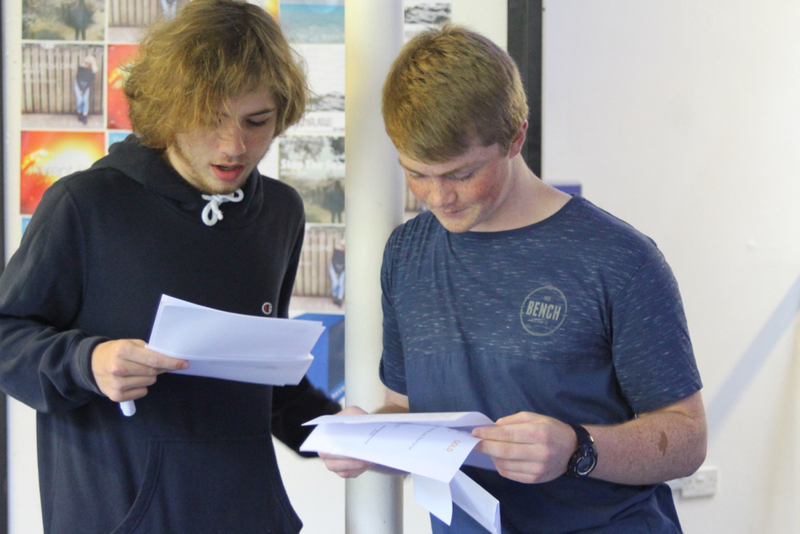 Alongside this there have been some amazing results in the A*-G GCSEs in Chemistry, Physics and Biology GCSEs as well as the usual excellent results we get in our range of PE and music qualifications that we offer every year. 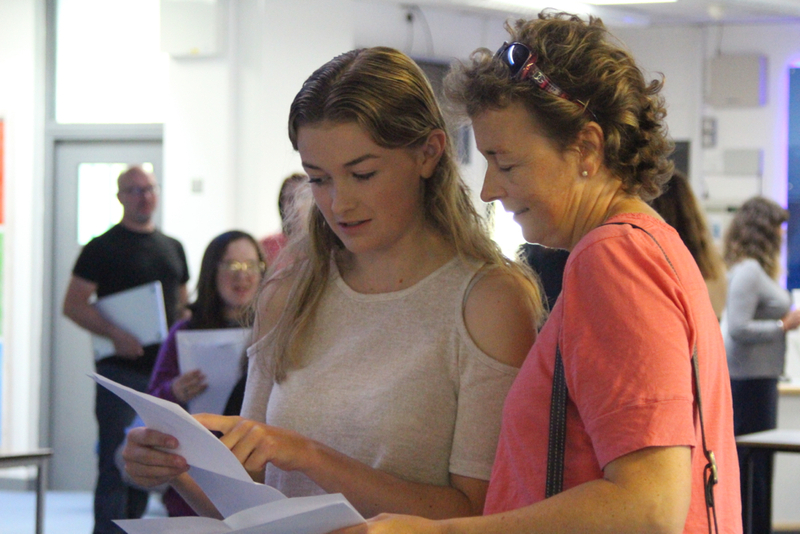 An amazing 65% of students gained at least one A*/A pass at GCSE with 72% gaining 5 GCSEs at A*- C. We are also pleased to say that every student will be leaving us with GCSE qualifications and we are encouraged by a score of 25% of students achieving the English Baccalaureate. 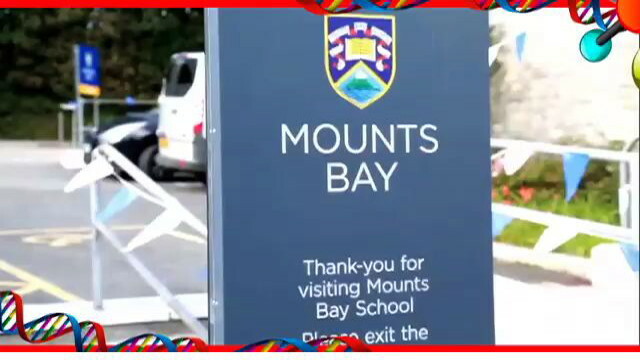 Mounts Bay Academy support the most able students by running High Performance Institutes in many subject areas with expert staff. 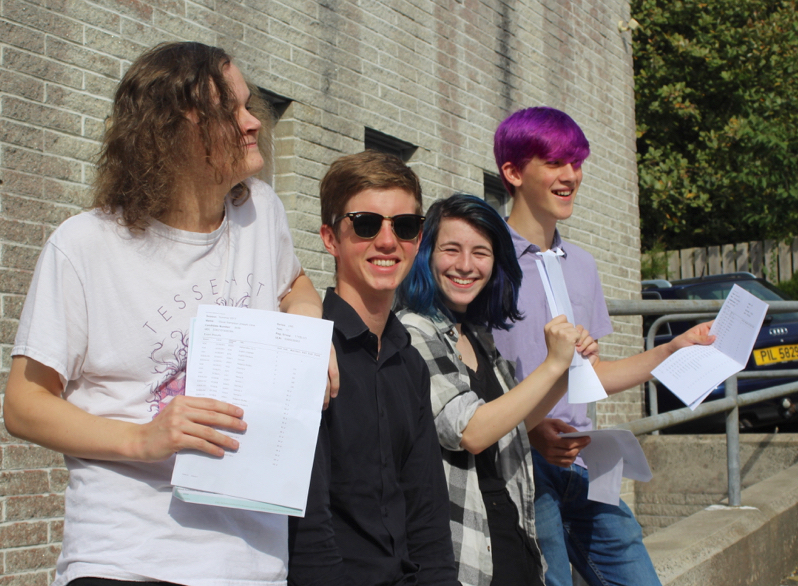 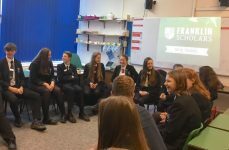 This has enabled 25 students to excel in the new GCSEs introduced by the Government this year to achieve world class results by gaining 5 or more A*s /As with many achieving considerably more than this. 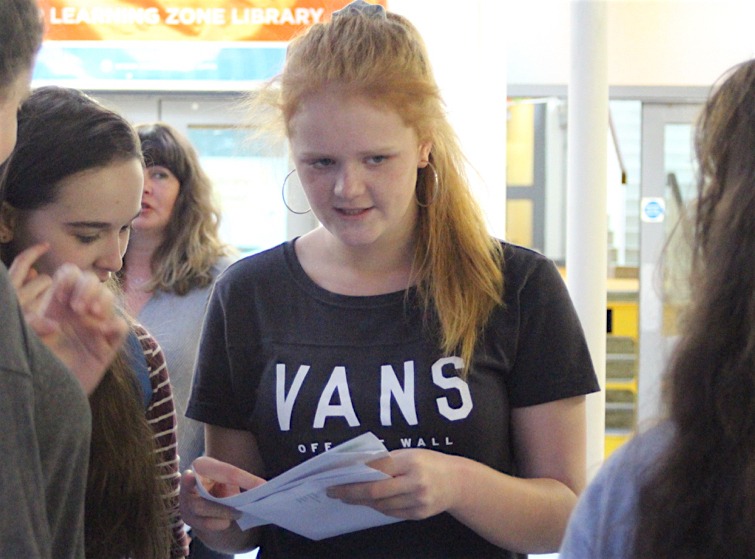 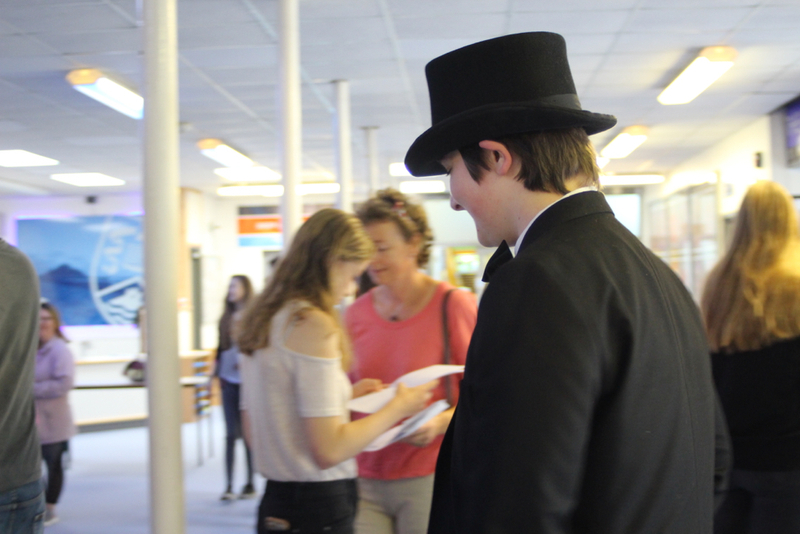 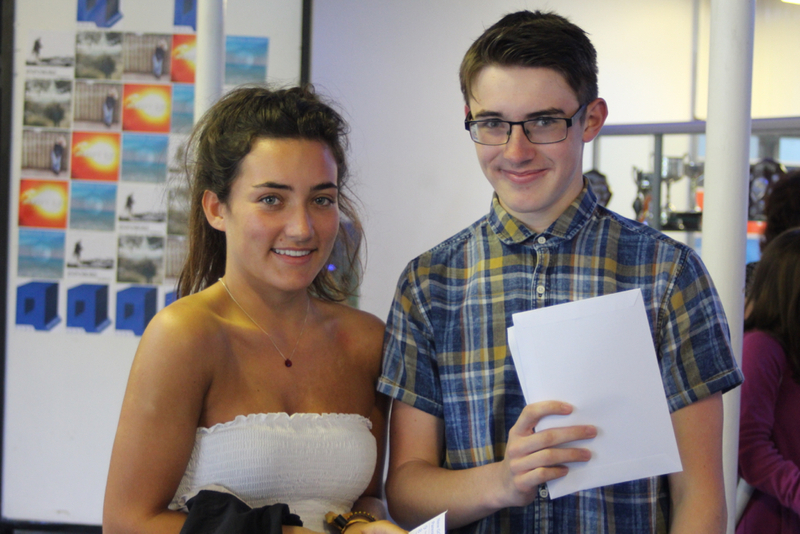 In addition a number of students gained higher grades (A or B) in AS exams in Maths, Photography and RE a year early. 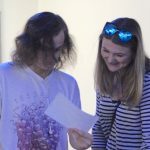 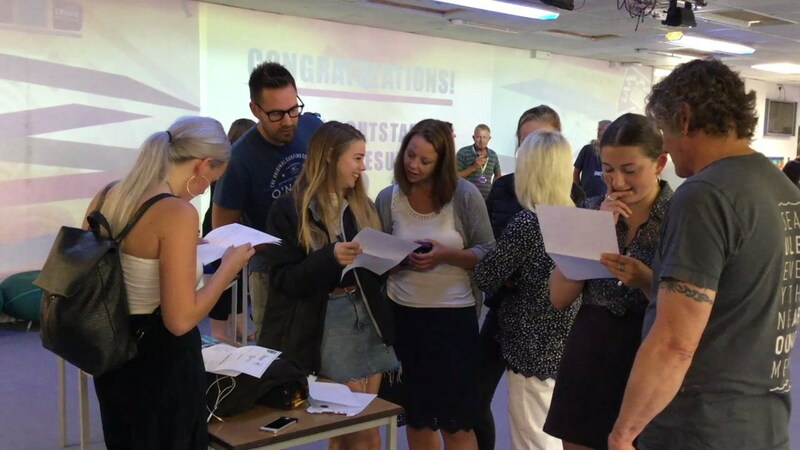 Click on the video above to see some of our students receiving there results. 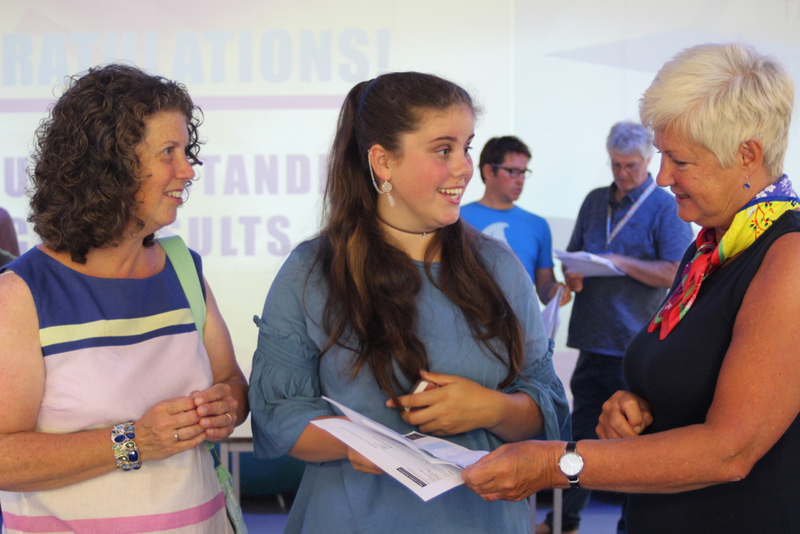 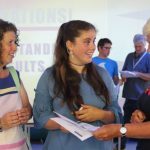 Lamorna Tregenza-Reid has gained an amazing 13 A*/A grades including an astonishing 10 at A* and 2 coveted grade 9s in both English and mathematics. 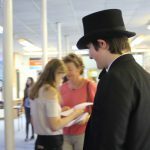 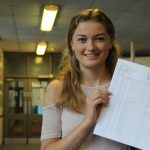 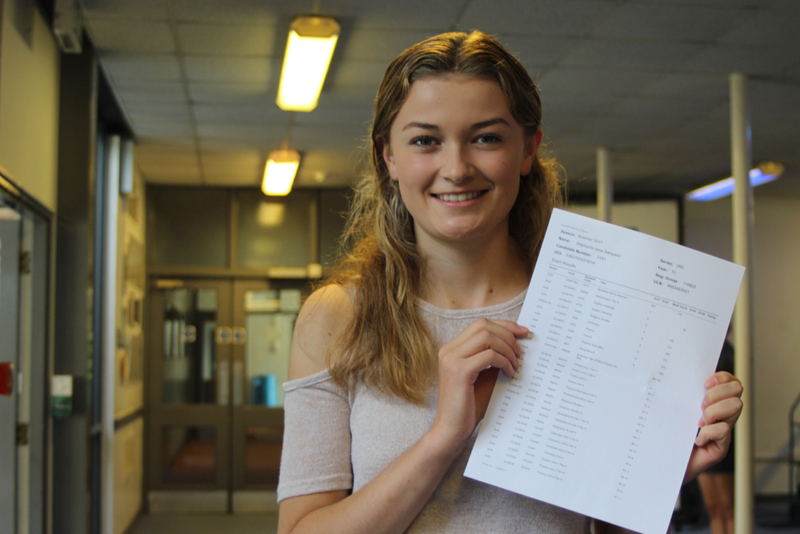 She also gained 2 higher grades in her Photography and Maths AS levels and passed a professional qualification in French called Delf. 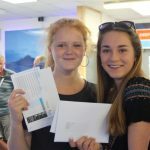 Accompanying her to Nepal was Stanley Roynon who gained 10 A*/A qualifications including 8A */As and 2 higher grades at AS level in RE and Maths including a creditworthy grade 9 in Maths in the new GCSEs. 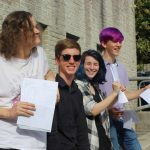 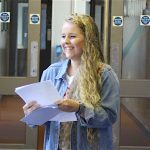 Mounts Bay has a rich reputation for music and the arts and four of our most talented musicians gained over 10 A*/As in their academic studies. 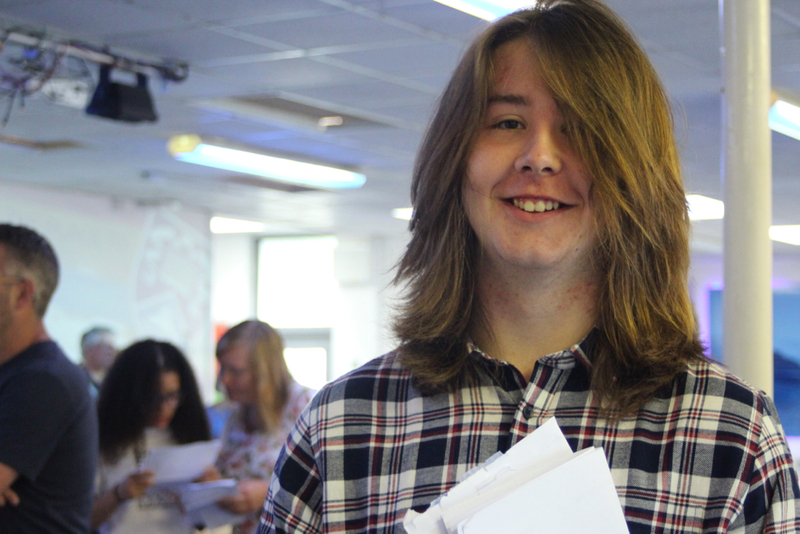 Oscar Clive has combined his passion for the guitar with his dedication to academic study and has gained an impressive 12 A*/ As. 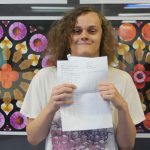 Horace Halling our Head Boy has gained 11A*/A as well as conducting the Youth Orchestra and leading the successful High Performance choir and Boys choir this year. 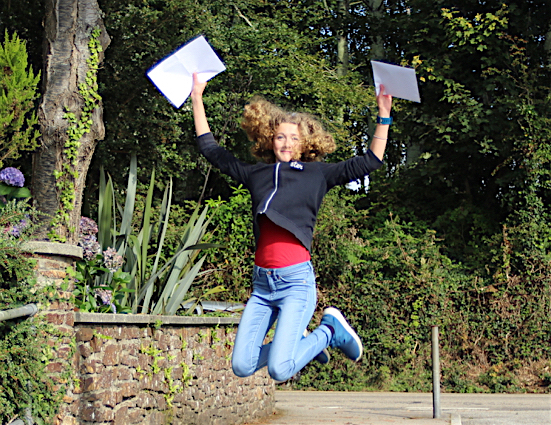 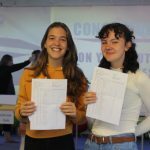 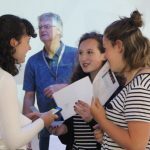 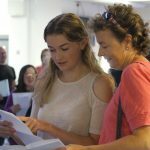 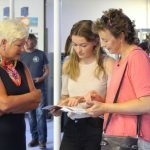 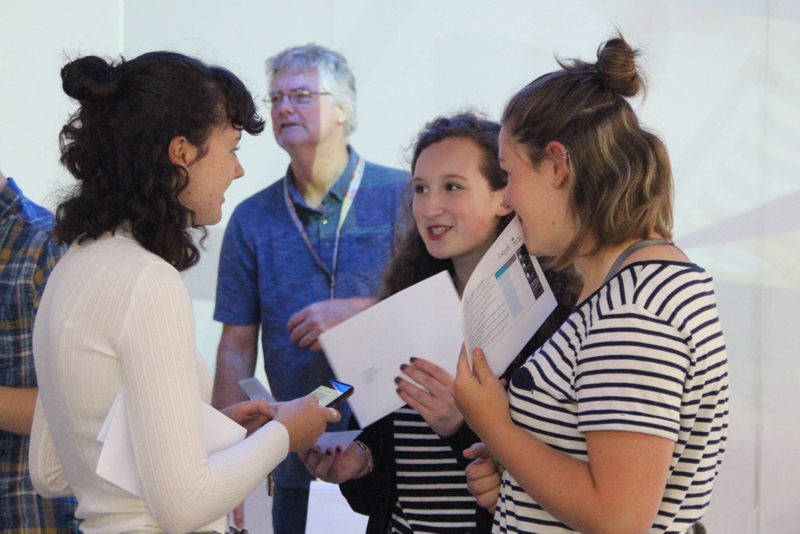 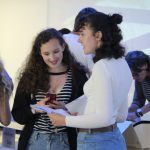 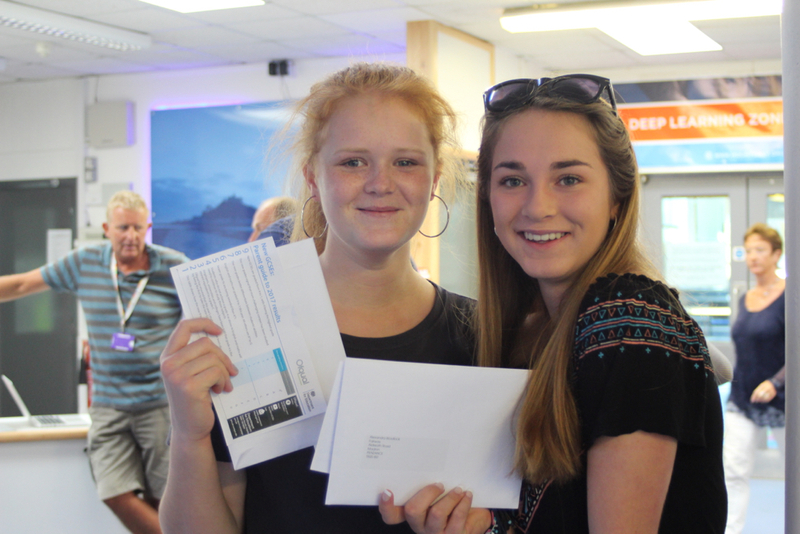 Siena Hoadley and Nina Micciche who have both released their own songs on the Mounts Bay record label, have also achieved an excellent total of 10A*/As each. 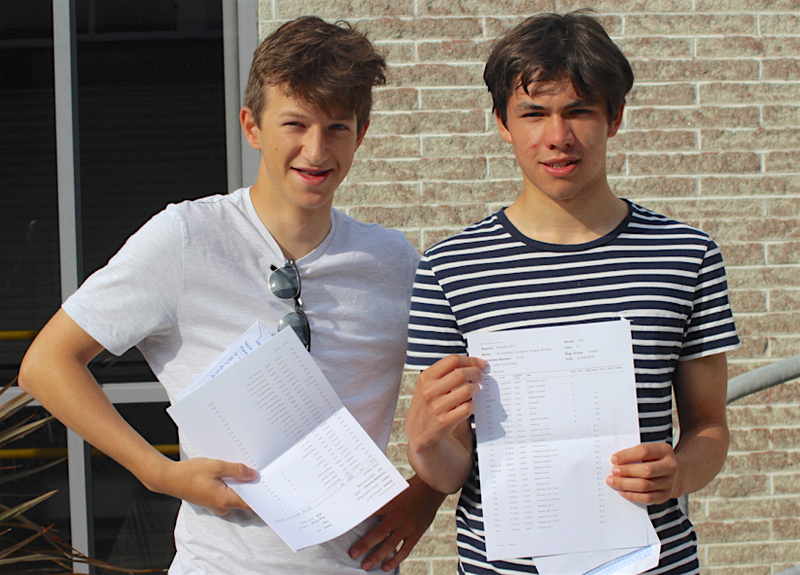 The Academy has seen 2 GB sporting stars in fencing and cross country respectively also show their academic prowess. 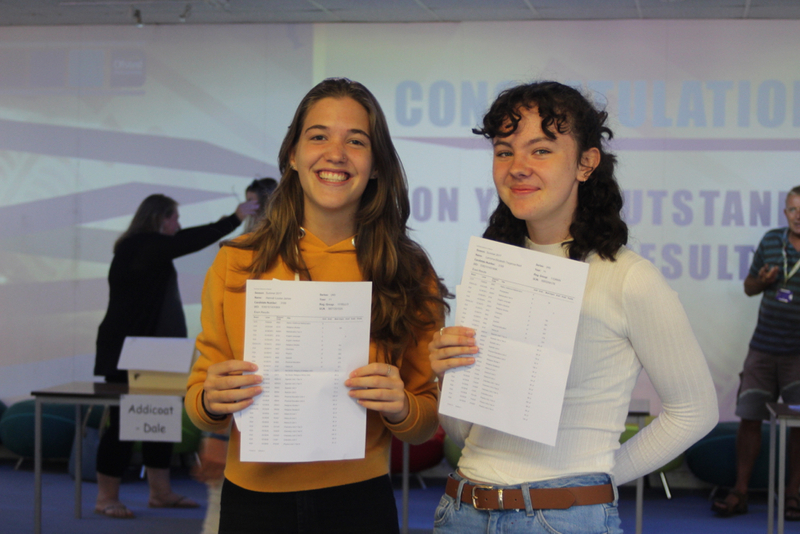 Maia Fashokun has gained 8 A*/As and Grace Brock has gained 7A*/As at the same time as competing for their country at the highest international level. 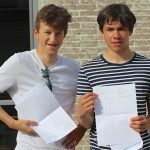 They are both names to watch in the future. 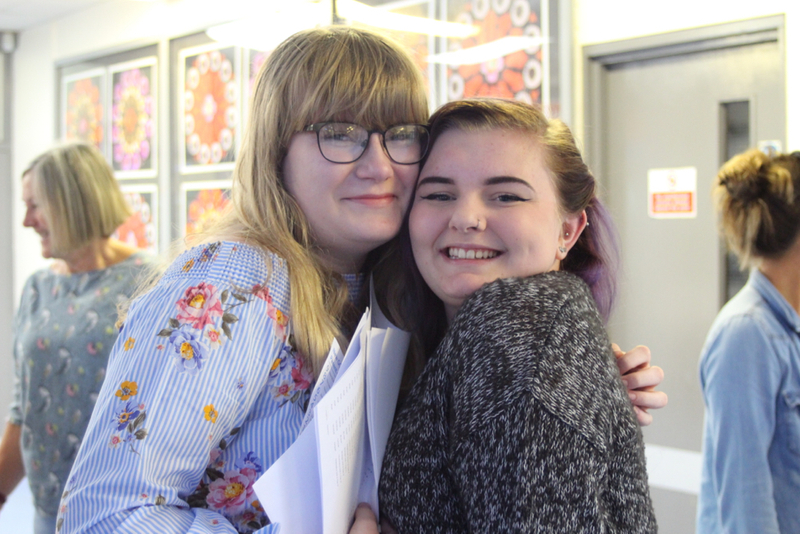 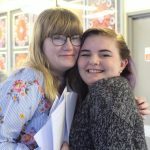 Students who have demonstrated an impressive all round level of academic success as well as contributing to the life of the Academy include Skylar Finch who has gained 14 A */As and Hannah James who achieved 13 A*/As which included a grade A at AS level in RE and an AS level in Maths. 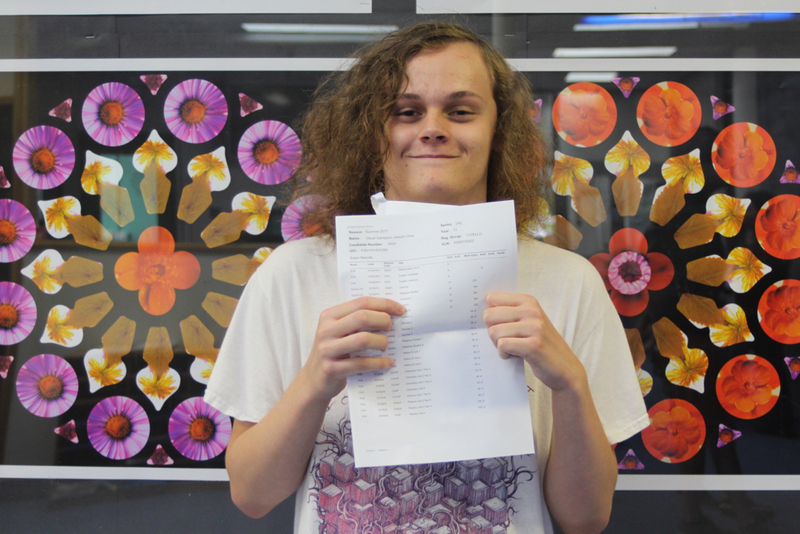 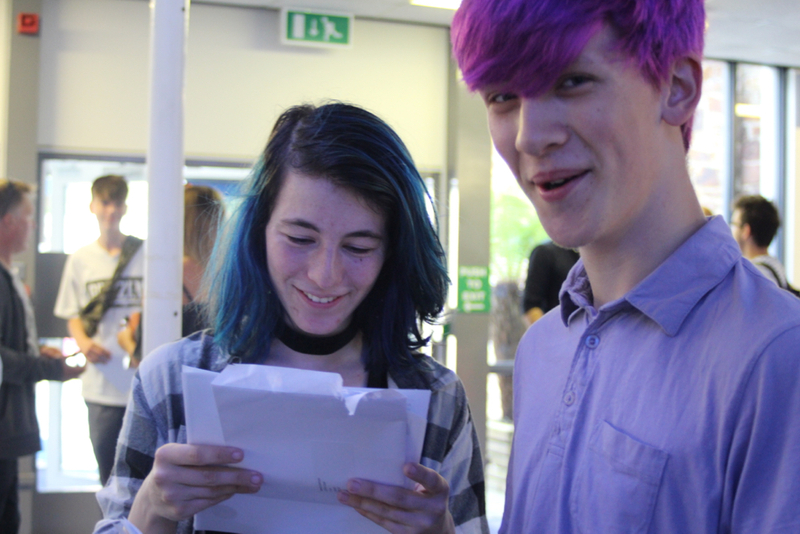 Nicola Enston achieved 11 A*/As and Tom Seymour has gained I0 A*/As . 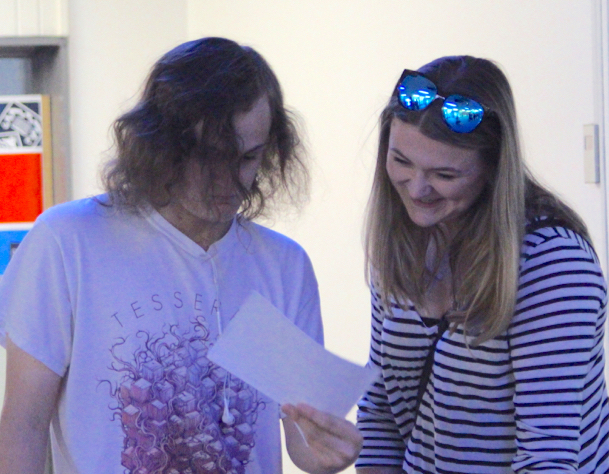 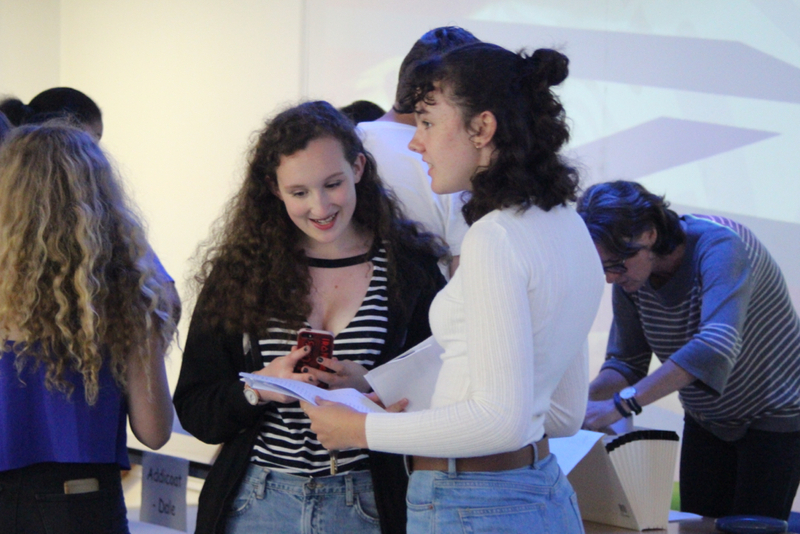 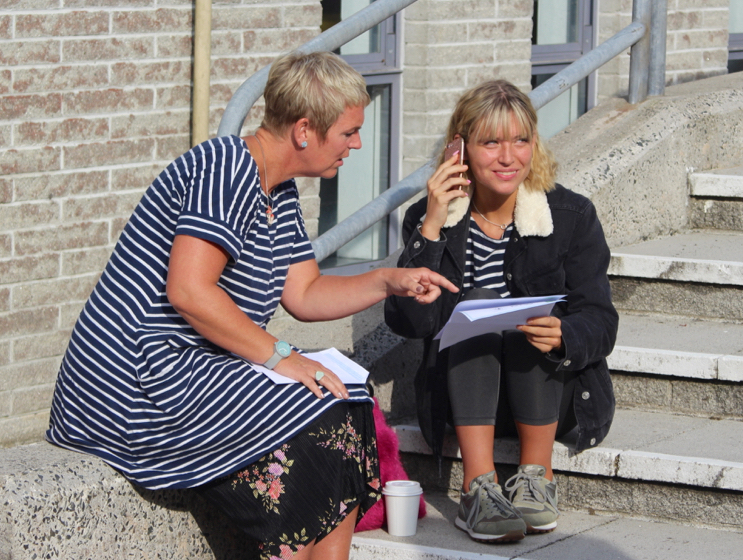 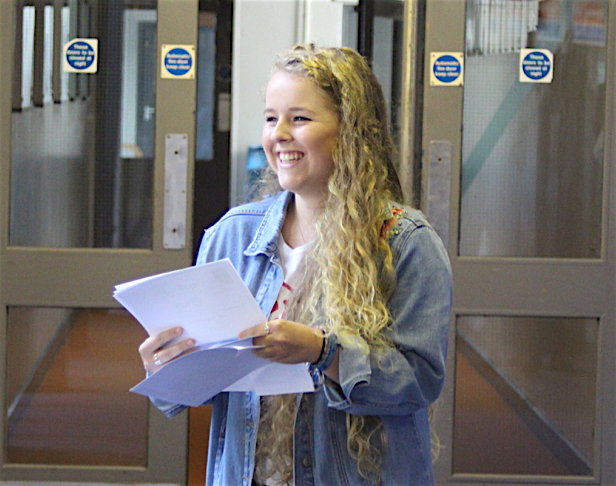 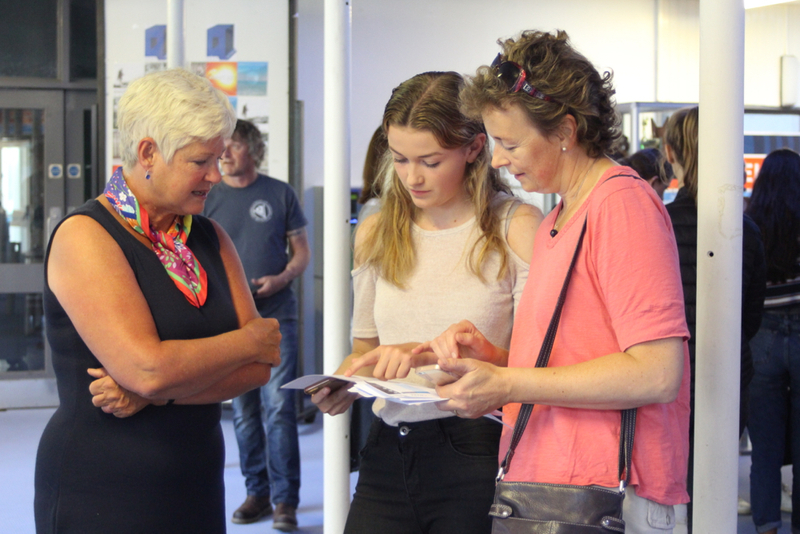 Other students who have gained 5 A*/As or more this year include Head Girl, Anya Burlton, Eva Hawken, Zoe Pyne, Mia Clarke, Izzy Goodhead, Ella Tattershall, Tom Stephens, Archie Vingoe, Rosie Saddington, Kenan Hewish, Ben Wright, Stephanie Sampson and Olivia Jenkin. 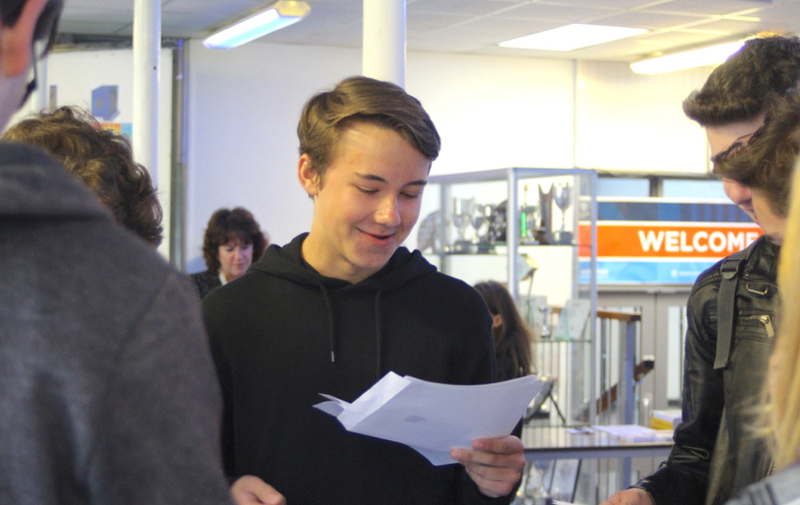 Students have also been really successful in the new technical qualification that are taken alongside GCSEs for the first time. 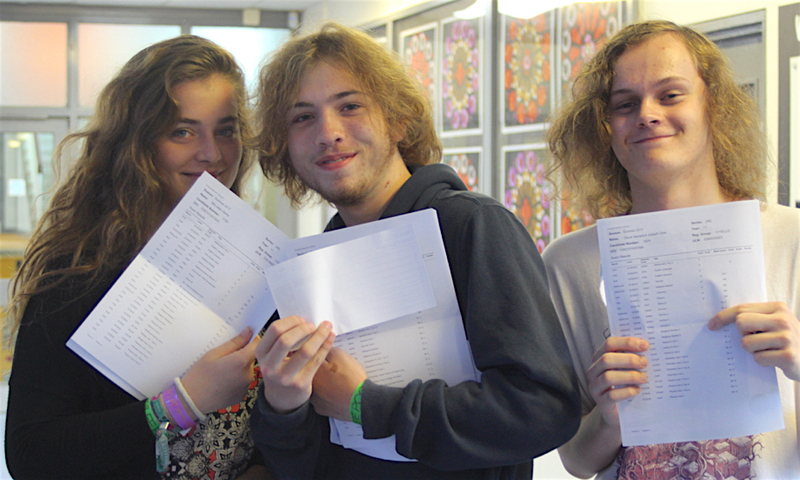 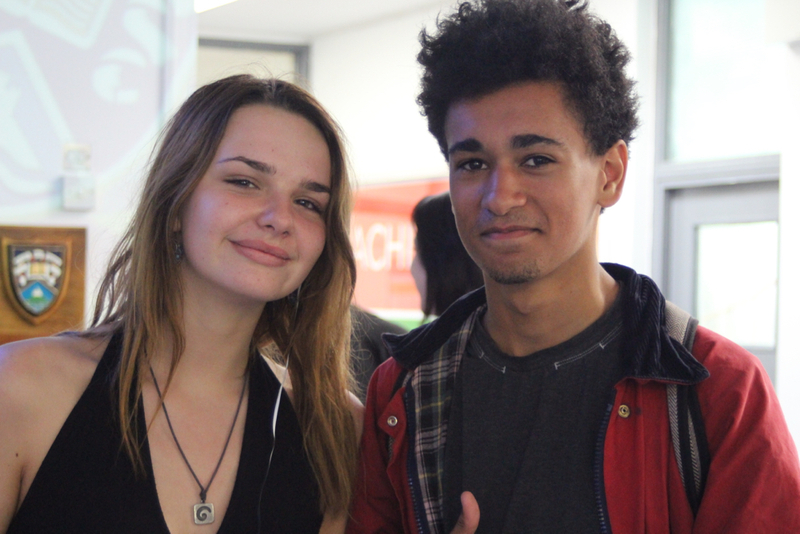 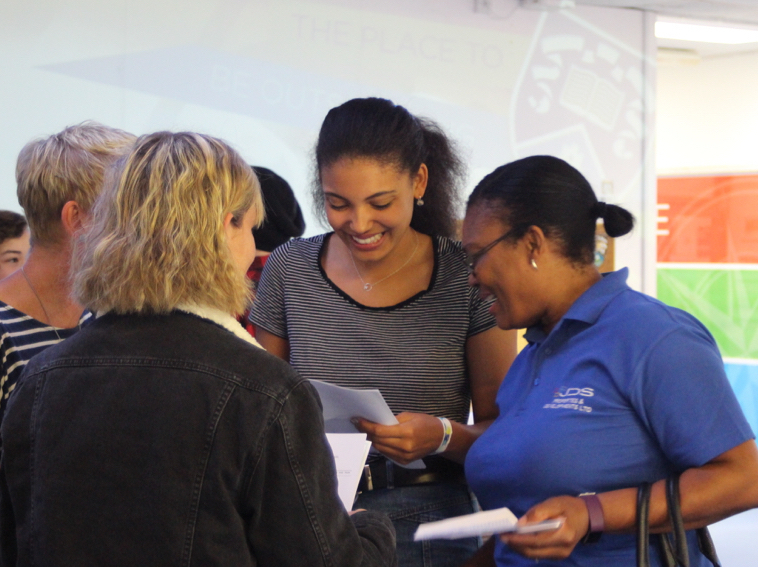 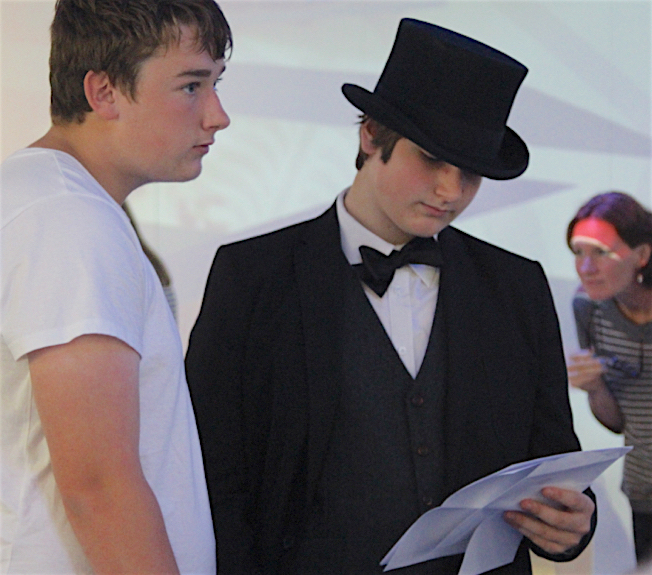 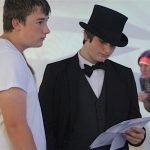 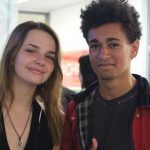 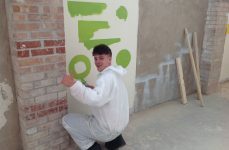 100% pass rates were achieved in IT, Music, Food & Cookery and allow students to pursue a set of broad options Post 16. 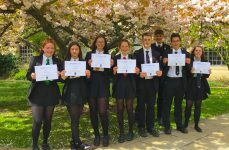 We are particularly pleased that all 176 students have passed GCSE qualifications which supports the Academy motto of “Success for All”. 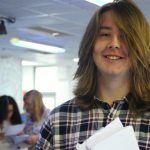 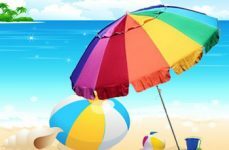 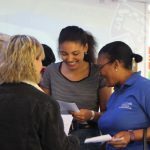 Students and parents can be reassured that the new grading system is fully understood by the colleges who will be happy to discuss results with individuals and will ensure that all students are placed on a course that meets their needs as they move in to the next stage of their career. 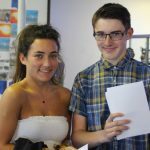 The Academy has in addition provided an extra layer of reassurance on the “Basics Measure” this year by entering all of 2017 cohort for the A*-G English and Maths in the summer of 2016. 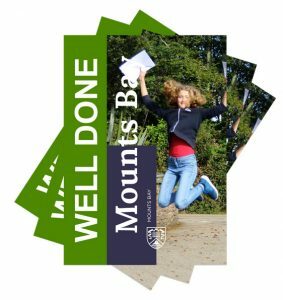 The staff and Governors of Mounts Bay Academy would like to wish the 2017 cohort many congratulations for their hard work and dedication and also wish them all the best as they move on to the next stage of their education or employment pathways.